Working with a kitchen designer provides an enormous value. They understand the remodeling process inside and out, are extremely knowledgeable about the latest trends and have relationships with the best contractors in the area. 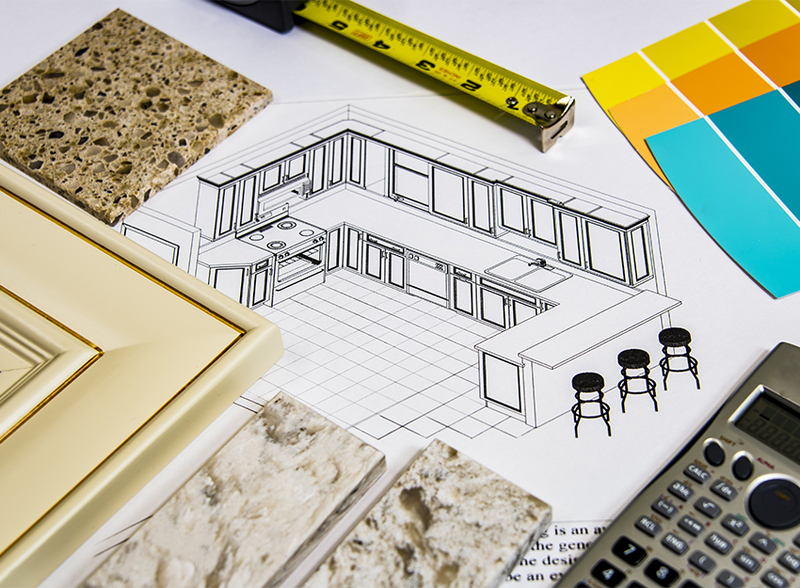 Even though the process of designing a kitchen has evolved over the years, I believe today's homeowner still finds value in hiring a kitchen designer. Many kitchen designers have a background in art or design and most are certified by the National Kitchen and Bath Association. Hours of study and training are required to fully grasp all concepts and guidelines of quality kitchen design. The NKBA requires designers to take additional courses throughout the year to maintain certification. This ensures that all designers are not only current with the latest trends, but also know important codes and safety guidelines. Many homeowners may renovate a kitchen one to three times in their lives. Compare that to how many kitchens a designer renovates in their lifetime. Experience is probably the number one reason to hire a kitchen designer. Besides implementing key design features within the overall space and kitchen cabinetry, kitchen designers are an integral part of the whole process from start to finish. Think of your kitchen floor plan as a map. If your contractor has a question about the map and how to get from point A to B, who do you think he is going to call? Many kitchen designers are equipped with the knowledge to understand the whole construction process, something that is invaluable when spending a large sum of money on a renovation. With the popularity of websites such as Houzz and Pinterest, there has been a steady increase in homeowners taking on DIY design projects. Whether it's building a fireplace mantle from reclaimed wood or installing kitchen cabinetry, there is a YouTube video for anything and everything. 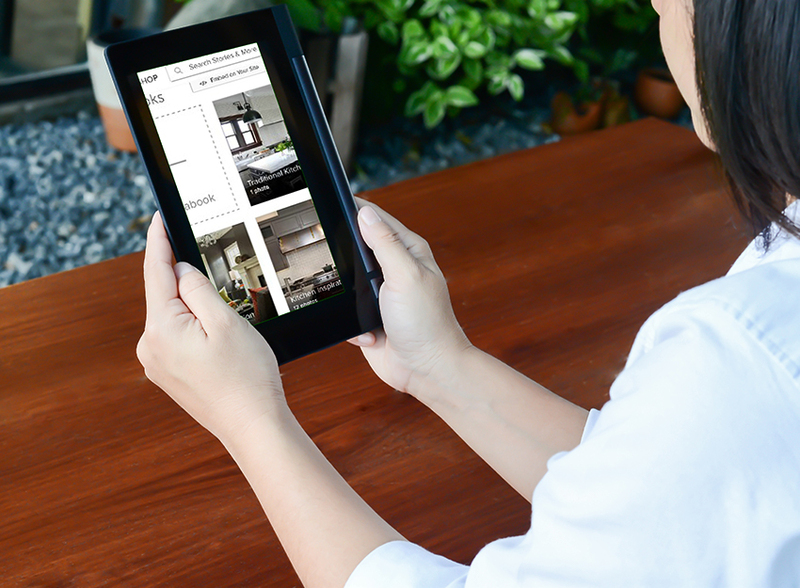 One may think this has negatively affected the kitchen and bath design industry, but I believe Houzz and Pinterest have actually increased the need for designers. A successful homeowner or designer relationship is based on communication and collaboration. One of my favorite ways to collaborate with my clients is by sharing Houzz idea books and Pinterest boards. Homeowners can save inspiration photos of anything from cabinetry colors to an accessory they want to incorporate into the kitchen. Many people feel overwhelmed by the amount of options. Our job as a kitchen designer is to take your virtual wish list (this also applies to a folder of magazine clippings! ), and apply the homeowners' ideas to the most functional and aesthetically pleasing kitchen space. The eye of a designer helps focus and narrow in on the most important details. One of the most important jobs of a kitchen designer is to stay on top of trends and technology. There are trade shows, publications, and information available only to the kitchen and bath industry. By working with a designer not only will you have access to the latest and greatest trends, but you will also receive valuable opinions and advice on products. Going back to my first point regarding experience, a seasoned kitchen designer will also have a lot of experiences (good and bad) with appliances, cabinetry, accessories, etc. that can save a homeowners time and money. In a kitchen renovation, cabinetry is typically one of the biggest ticket items. Kitchen designers specialize in selecting cabinetry for specific spaces. That's why a thorough understanding of cabinetry do's and dont's is so important. Besides offering design services, many kitchen designers also sell or represent certain cabinet companies. Each cabinet company is very different, so utilizing the specifications and limitations of the cabinetry to your advantage will result in a more well-designed space. Here are some tips when looking to hire a kitchen designer. Some of these points may seem like common sense, but worth mentioning. Each design firm or company may have a different process for designing a kitchen or completing a remodeling project. Its important to discuss their process to make sure it aligns with your expectations. Don't be shy! It's completely acceptable to inquire about design and service fees. Similarly to the design process, payment plans vary from company to company. A reputable designer will have a readily available list of references. Discussing first-hand experience with a previous client or even seeing the project in person can be a valuable step to take. 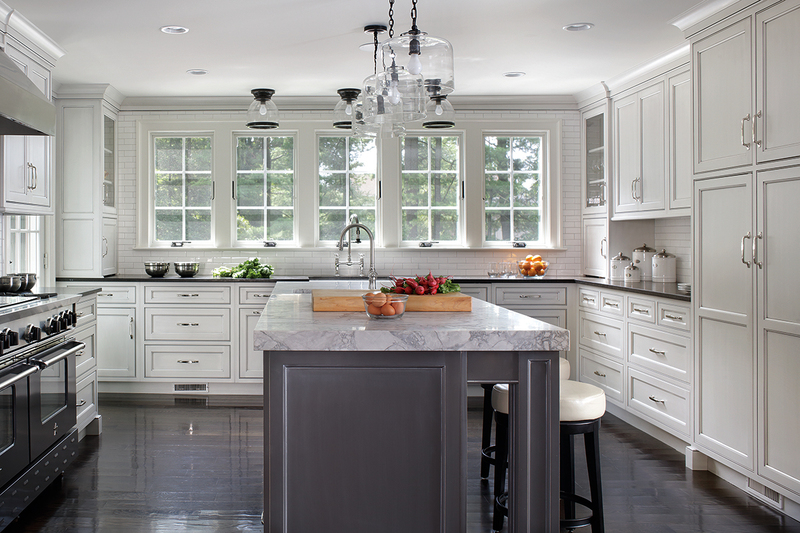 Rebecca Mahoney is a kitchen designer at Robinwood Kitchens in Berkeley Heights, NJ. Robinwood Kitchens has been a Plain & Fancy dealer for over 20 years. In 2011, Rebecca joined the family business after receiving BFA degree in Interior Design from Syracuse University. Rebecca has her AKBD certification from the NKBA and is currently working toward becoming a CKBD.